Studies have proven that non-native English speakers have a lot of difficulties when it comes the time they spend on their English writing skills in different situations: work, academia, application forms, essays, resumes, etc. Monty English Language School is aware of this key problem and we would like to help everyone who needs to work on their writing skills. 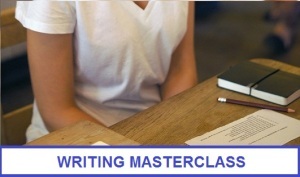 Therefore we have put together weekly lessons which are just focused on developing your writing skills. Come along and join us in our informative English writing classes with CELTA-qualified teachers and become more confident so when you are asked to write reports, essays or a presentation you can give it your best and get encouragement from your colleagues and senior managers. Are you interested in joining our English Writing Lessons? Just ask us for a FREE lesson here, meet your teacher and classmates, and discover a new way of learning English.